We have some great new music coming. 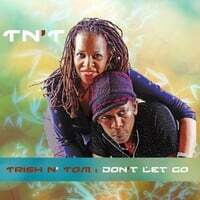 We'll be paying tribute to the late great superstar Patricia M. Jackson-Chappell(aka Trish) of TN'T Trish N' Tom. She will be missed but her spirit will be with us forever. We are super excited about our next album, currently in production. When completed, this will be our first album since the passing of Trish Chappell(aka TN’T TRISH N’ TOM). A tribute to an incredibly talented vocalist, musician, bandmate, ride or die, humanitarian, soulmate, and all around beautiful human being. Our forthcoming project is an authentic unique sounding collection of tracks guaranteed to move, groove and soothe. This is a piece of work filled with conviction, emotion and yet still in the moment. It’s rocking with high voltage up tempo dance, some fried chicken style soul and funk. There’s mid tempo groove giving us a chance to reminisce and we couldn’t leave out a few heartfelt ballads. We use the term “To Be Continued” because we continue to rock with the spirit of Trish. It’s going to be worth the listen and more.